Washington, D.C. (September 24, 2015) — The ALS Association and Target ALS are pleased to announce the launch of a new collaborative effort to expand the collection of biofluids from people with ALS, to be used for research to better understand the disease and ultimately develop new treatments. The ALS Association will be investing $1,392,668 over the next 38 months. 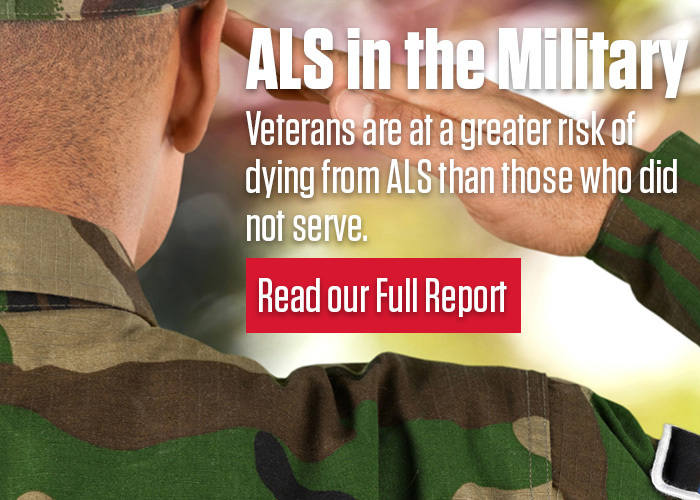 Funding from The ALS Association will allow pre-mortem biofluids (serum, plasma, and cerebrospinal fluid) to be collected and stored at the sites that comprise the Target ALS Postmortem Tissue Core at Barrow Neurological Institute/Saint Joseph’s Hospital in Phoenix, Columbia University in New York, Georgetown University in Washington D.C., Johns Hopkins University in Baltimore, and University of California at San Diego. Detailed genetic analysis will be performed on all these cases at The New York Genome Center, all the data will be linked, and all of the samples and data will be made available for researchers around the world. The Target ALS Postmortem Tissue Core is a unique resource in the field of ALS research, providing high-quality post-mortem tissue for academic and industry researchers throughout the world. Target ALS has invested $1.04M to date into the core. The addition of pre-mortem biofluids from the same individuals will greatly expand the potential utility of the samples, by allowing researchers to explore biomarkers in biofluids that correspond to changes in tissues. “This partnership has created a first-of-its-kind resource to lower the barriers for, and accelerate the pace of translational research in ALS. Target ALS is delighted to partner with The ALS Association on this much-needed initiative”, said Target ALS Executive Director Manish Raisinghani, M.D., Ph.D.
Target ALS is a privately funded international consortium of researchers from academic and biotech/pharma laboratories entirely focused on finding a treatment for patients living with ALS. We fund Research Consortia that have accelerated identification and validation of new targets for treatment of ALS, Springboard Fellowships to support work of emerging research leaders, and core facilities that lower barriers for cutting edge ALS research worldwide. For more information visit our website at www.TargetALS.org.